Go to Father Finelli’s site to see the decree of erection. Note that this is one of the communities in Still River, Massachusetts, in the Diocese of Worcester, Massachusetts. The publishers of Catholicism.org are the Slaves of the Immaculate Heart of Mary in Richmond, New Hampshire, which is in the Diocese of Manchester, New Hampshire. This decree, therefore, has nothing to do with our community here in New Hampshire. The Manchester and Worcester dioceses, both part of the Ecclesiastical Province of Boston are adjacent to one another, as can be seen on this map. 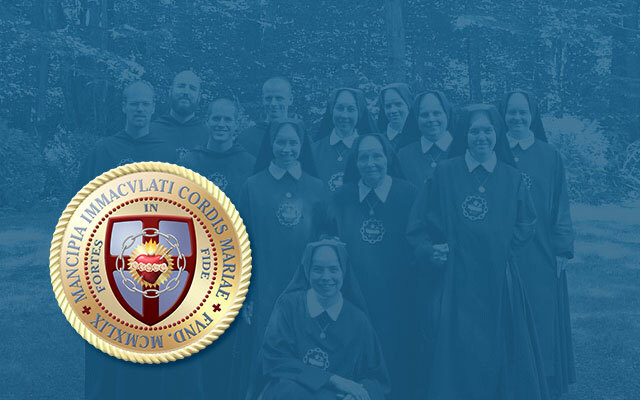 The Brothers and Sisters in Richmond congratulate the Brothers and Sisters in Still River on this occasion, and wish them well in all their apostolates for the glory of God, the exaltation of the Blessed Virgin Mary, and the salvation of souls.